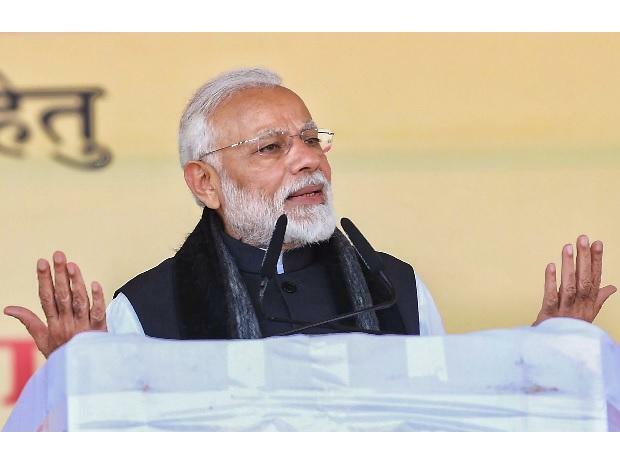 Prime Minister Narendra Modi Tuesday launched a scathing attack on the Congress, saying governance goes into reverse gear when the grand old party and its allies are in power. Addressing an election rally in Jamui where LJP leader Chirag Paswan, son of party president Ram Vilas Paswan, is in the fray, Modi accused the Congress of having neglected B R Ambedkar like no other party did. "Governance goes into reverse gear when the Congress and its allies are in power. Terrorism, prices, violence, corruption, black money rise when Congress is in power; the country's prosperity, its credibility, the morale of the armed forces, respect for honesty decline," he said. He accused the Congress of having done everything to "defeat" Ambedkar, the architect of the Indian Constitution. "The Congress did everything possible to have Babasaheb defeated. It conspired to have his momory erased from the public mind. The 'family' remembered honouring its own members with Bharat Ratna but forgot Ambedkar," the prime minister said. He said it was because of the BJP's efforts that Ambedkar was bestowed the highest civilian award years after his death. Claiming that his detractors were spreading the rumour that the BJP will do away with quotas in government jobs and educational institutions if voted to power again, Modi declared, "Nobody can even touch reservations for the backward classes." "We introduced 10 per cent quota for the economically backward people among the unreserved category...we did it without causing strife in society," he said.